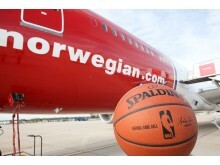 LONDON, Oct. 15, 2018 – The National Basketball Association (NBA) and Norwegian announced today a partnership that sees the award-winning airline named presenting partner of the NBA London Game 2019. The regular-season game will feature the Washington Wizards and the New York Knicks at The O2 on Thursday, Jan. 17. 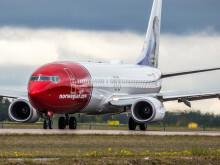 In 2014, Norwegian introduced the UK’s first low-cost, long haul flights to the U.S. - the airline now flies to 12 U.S. destinations, Buenos Aires and Singapore. Norwegian has been voted ‘Europe’s ‘best low-cost carrier’ by passengers for six consecutive years at SkyTrax World Airline Awards from 2013-2018, along with being awarded the ‘World's best low-cost, long-haul airline’ in 2015, 2016, 2017 and 2018. 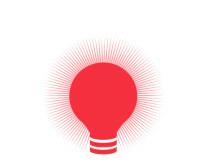 Norwegian Reward is the airline's free to join award-winning loyalty programme offering members CashPoints and Rewards that reduce the cost of Norwegian flights.